Spirometry is an important tool for diagnosing and controlling asthma, as it helps allergy doctors measure how well a patient inhales and exhales air. Generally, spirometry is used during the first appointment with an allergist or immunologist, as well as during treatment, to document the patient’s normal airway function. Spirometry can also help evaluate how a patient’s airway is responding to a change in medication or new asthma treatment. Patients who will be taking a spirometry test should follow their doctors’ instructions regarding the use of inhaled breathing medications or any other medications prior to the appointment. It’s also recommended that patients wear loose clothing to ensure that their clothes won’t interfere with the ability to take long, deep breaths. It’s also a good idea for patients to avoid eating a very large meal prior to the appointment, as this can make it more difficult to breathe. During the test, the nurse or allergy doctor will instruct the patient to take a deep breath, exhaling as hard as possible for several seconds into an attached tube. This may cause a brief feeling of dizziness in the moment following the test. To ensure that the results are accurate, the patient will need to perform the test at least three times. A spirometry test records a patient’s forced vital capacity as well as forced expiratory volume. 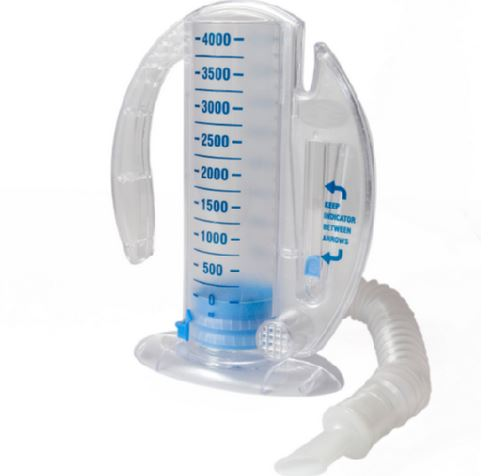 Forced vital capacity measures the largest amount of air that the patient can exhale after deep breathing, and forced expiratory volume determines how much air the patient can force from his or her lungs. To learn more about preparing for your spirometry test, contact Allergy & Asthma SpecialistsSM at 1 (800) 86-COUGH.